A devised performance with the group Opuntia in Helsinki, Finland. 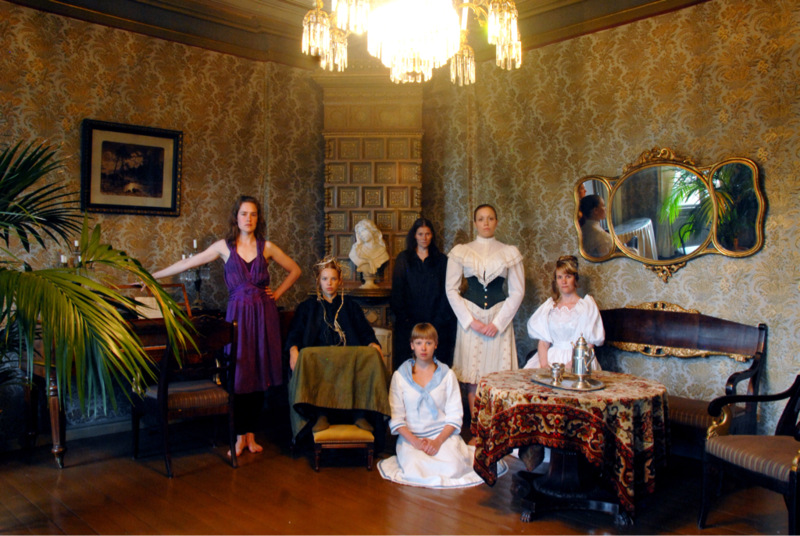 The performance took place in a Helsinki City museum, Djurgårdsvillan in June 2008. The audience moved around in the museum while being given only small pieces of information at a time, only by re-visiting scenes over and over again did the story of the inhabitants fully emerge. There were few, if any, barriers between the audience and the performers, forcing both to either not to acknowledge or completely acknowledge each other. "The mental space is woven with an almost ritualistic suggestion into the concrete room. I won't disclose the ending, but considering how the specific room is used in a figurative sense the end is genius. The performance Meanwhile, made with the so-called method of devising , which consists of performers using their own material and working in different ways to express it. There is a mental presence and a tight expression of the six performers that produces something akin to extra terrestrial or natural creatures, yet people at the same time."